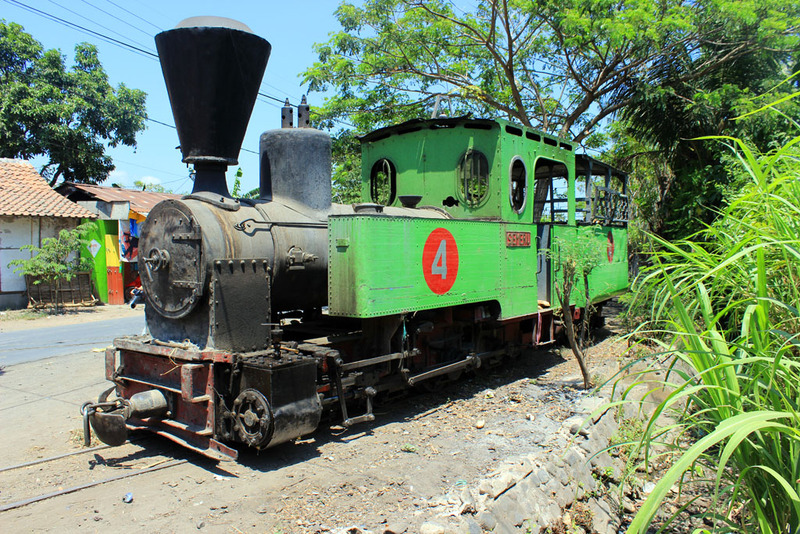 Now here comes the highlight of our trip: the steam locomotive in action. 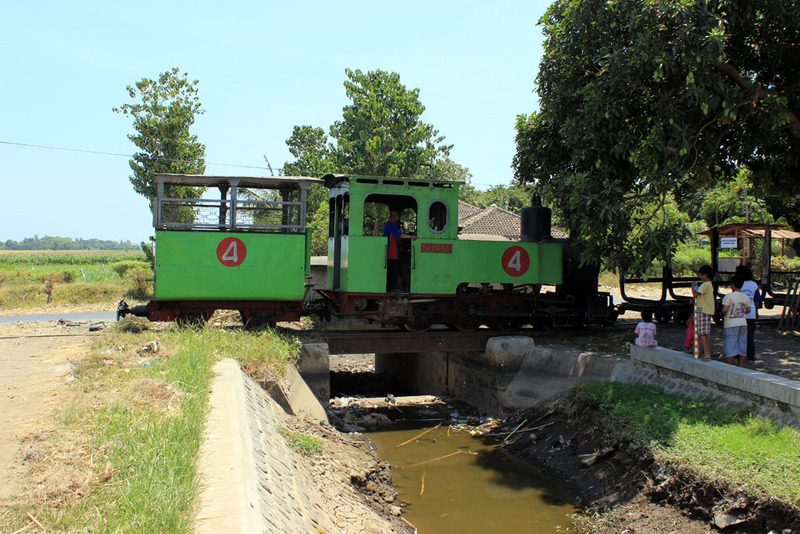 After some false starts (the locomotive is only moving inside the compound) it eventually exiting the mill compound. 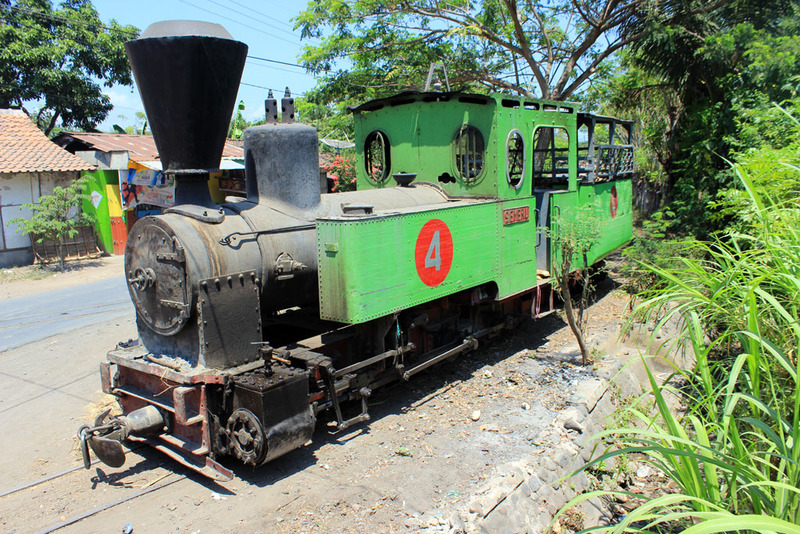 I’ve seen several narrow gauge steam locomotives in action. But I think this is the first time that I saw any of them going into the field. Unfortunately, due to coupler issue, the journey had to be delayed a bit, when some hoppers broke free from the train, and had to be pushed back into the mill. 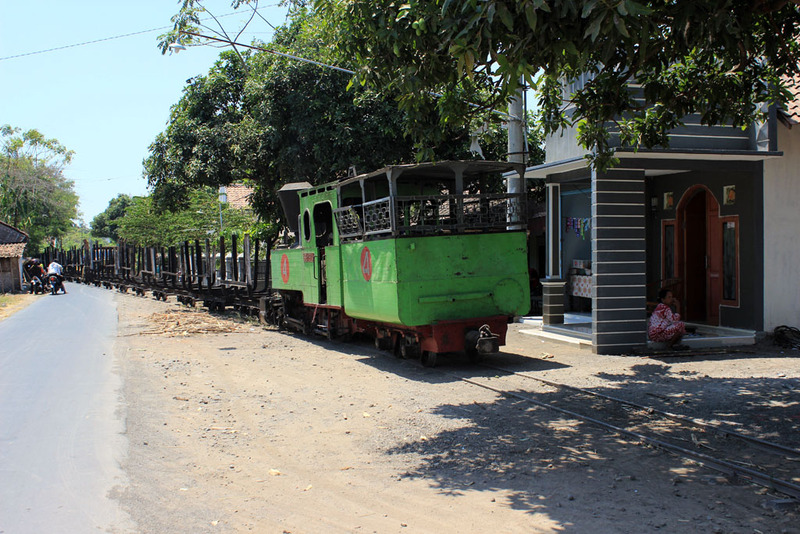 While waiting for the hopper to be fixed, the driver parked the loco on the outside. 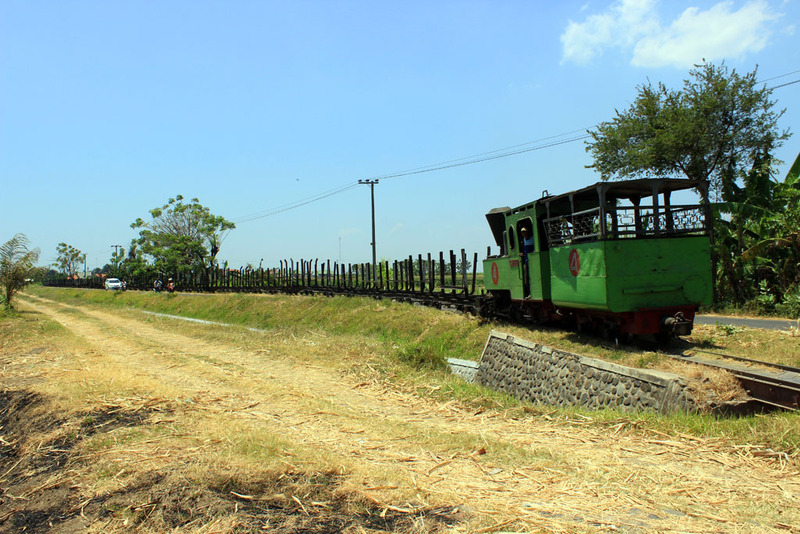 I really marveled this 19th century engineering, which somehow still remain in working condition. 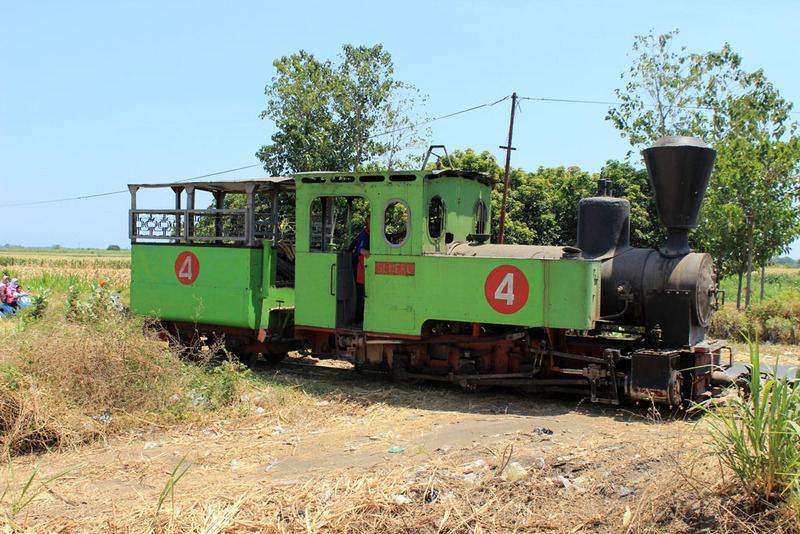 Not long after the problems rectified, the driver coupled the train, and began to depart into the field. Since the train traveled slowly, I was able to change side without the risk of being hit by the oncoming train. 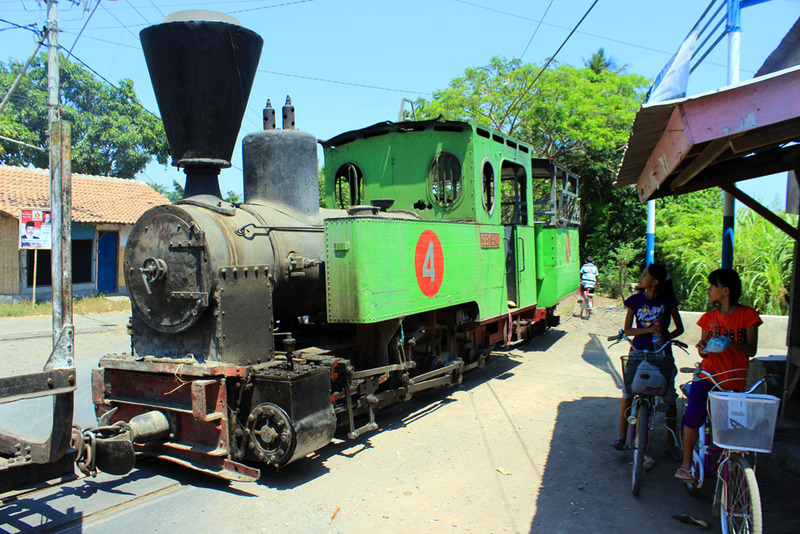 It is unbelievable that such old and small loco could haul such a long train. 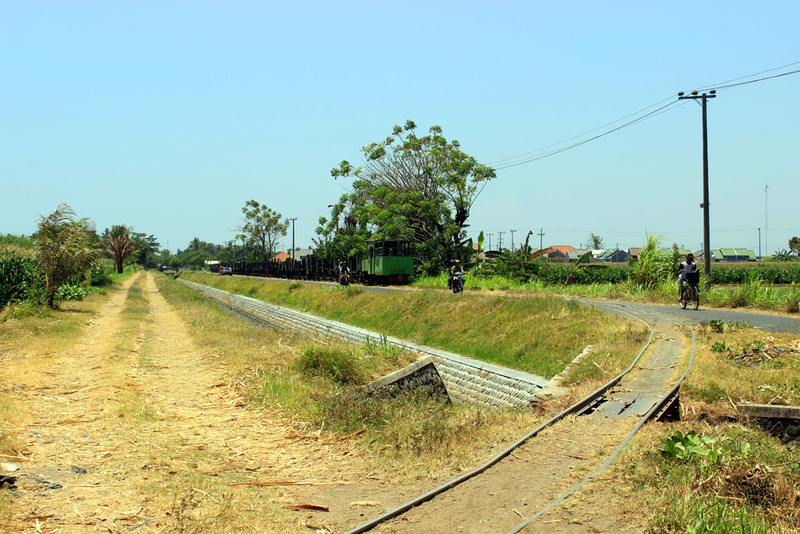 We waited quite long until the train cleared the way, so we could pass through. Once we returning back to our car, we blasted to Duwet. 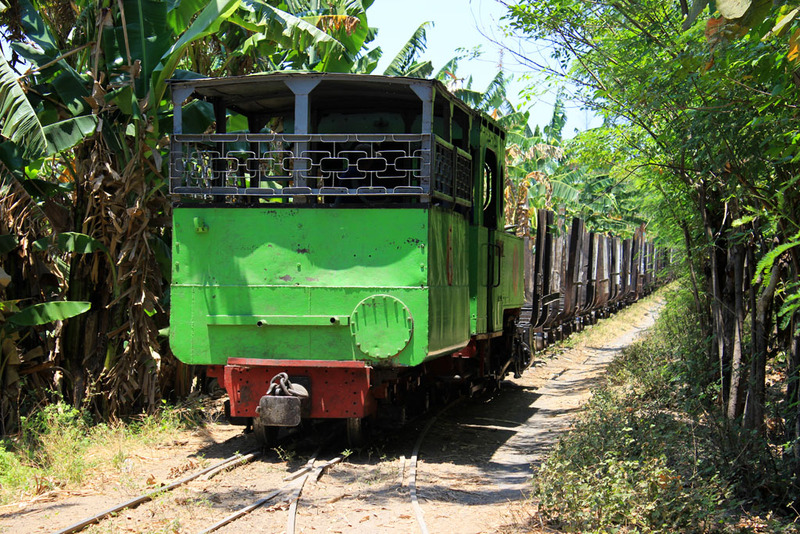 And since the train traveling at slow speed, it’s not difficult to get ahead the train. 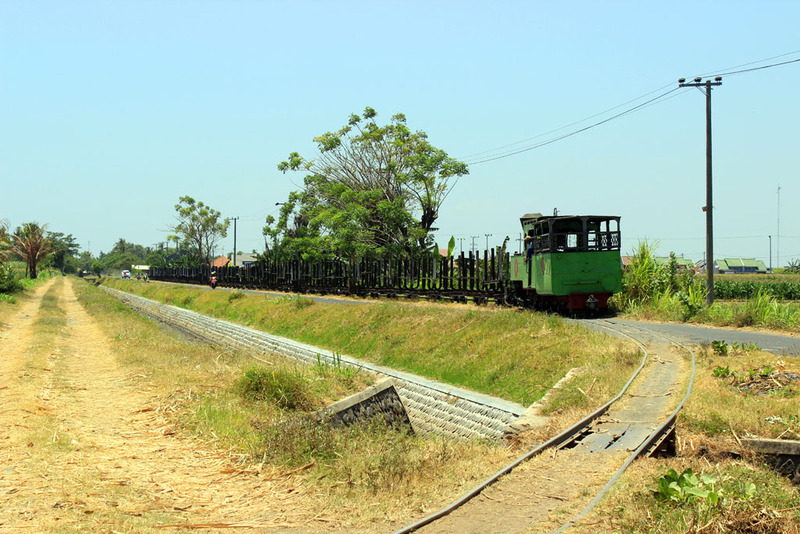 We waited near Duwet entrance gate, where we manage to photograph the number 4 hauling long train of empty hoppers. 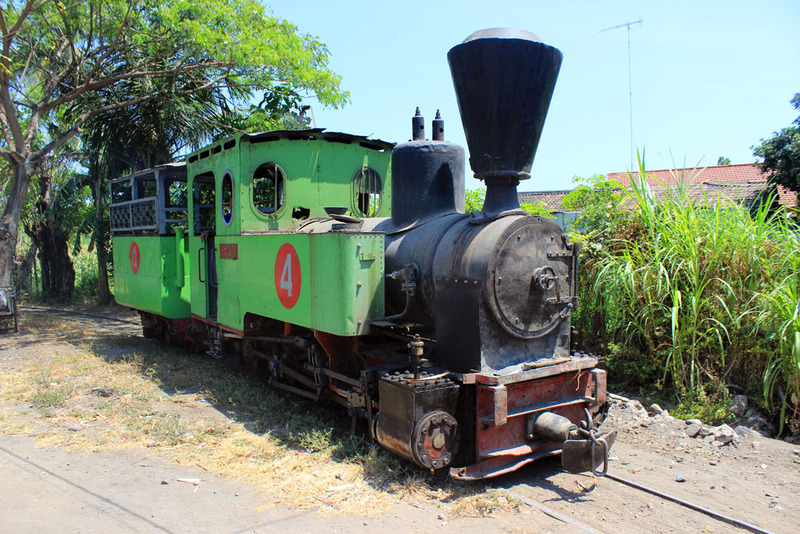 It’s amazing to hear its shrilling whistle, and its long load. 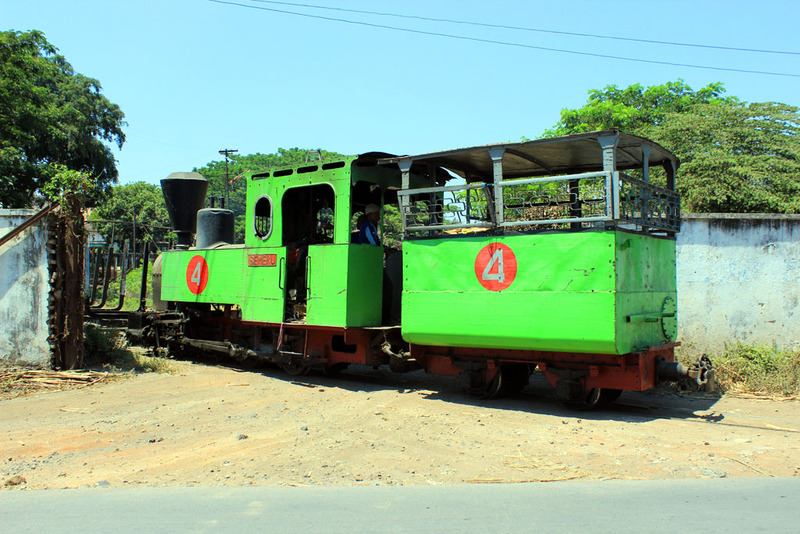 It is obviously longer than the diesel sugarcane train. 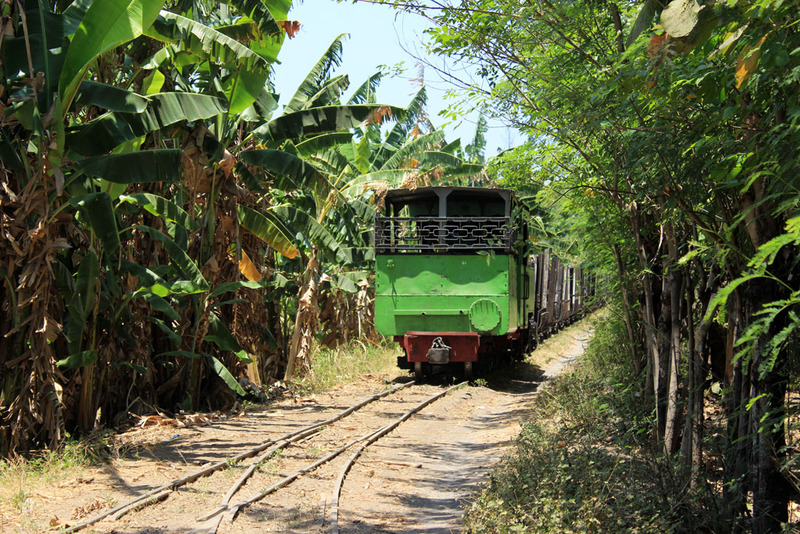 We chased after the train, all the way until it entered the “jungle” (actually mango plantation). You could see the junction. This was once a triangular junction. 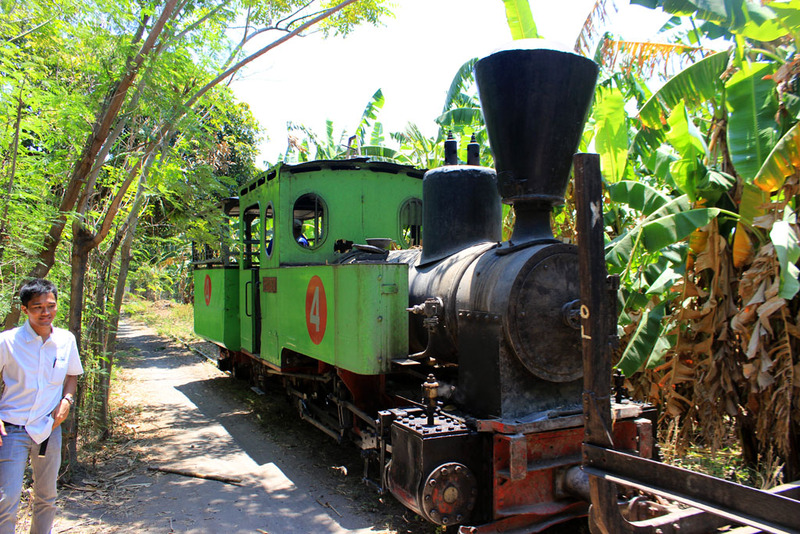 The train went to Patek direction. 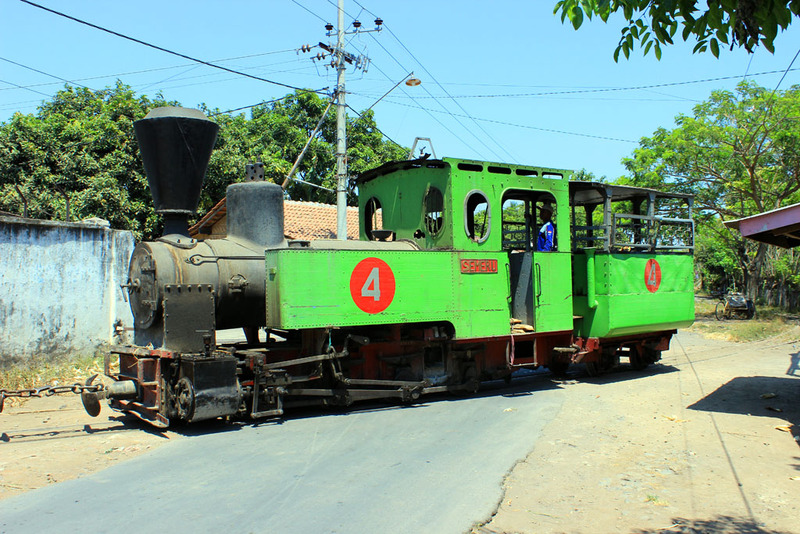 We’re quite satisfied with our progress so far, but somehow, the steam locomotive movement did, at one point fooled us….